Over a thousand years ago Easter Ross was home to the Picts. Today, carved standing stones serve as a reminder of their presence. Follow the Pictish Trail to the Seaboard Villages and visit the Shandwick, Hilton and Nigg stones as part of your Highland holiday. As a poor student in Edinburgh one of my favorite outings was to one of the many free galleries and museums in the city. It was a great way to stay warm and maybe even to learn something. It was in the Museum of Scotland that I first saw stones with Pictish carvings. The stones were in all shapes and sizes, carved with incredibly intricate designs and pictograms. I loved the carved knots and intertwined panels. Over the years I’ve seen these designs on jewelry, fabric and gravestones. I even have a couple of pieces of jewelry which represent Pictish carvings. Little did I know that one day I would live in the Seaboard Villages where some or the most beautiful stones are situated. When searching for a new home I always found it useful to do a little reconnaissance of the area first. I had never been to the Fearn Peninsula and knew nothing about the Seaboard Villages of Shandwick, Balintore and Hilton of Cadboll or the Pictish Trail. We parked the car at Balintore Harbour and wandered along the beach to the end of Shandwick bay. Then walking on a little and up through a field, we found the Shandwick Stone. 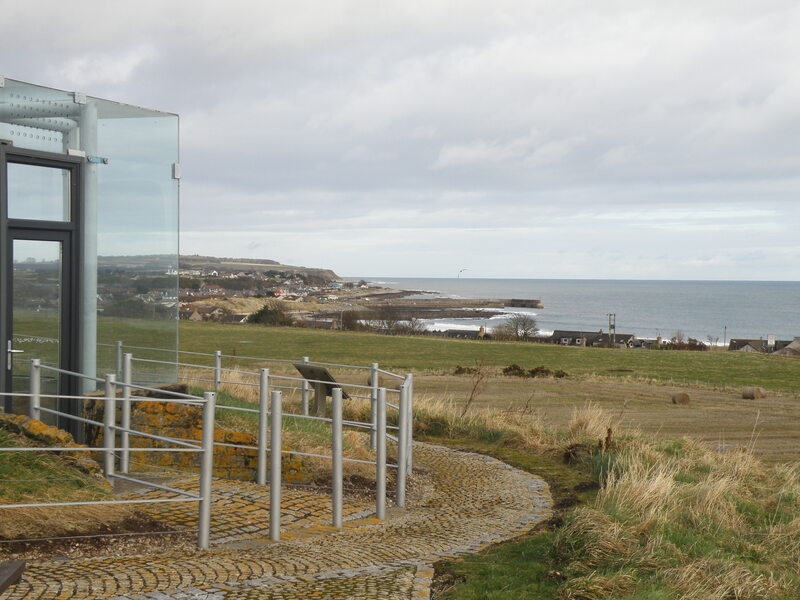 It wasn’t hard to find because it stands encased in steel and glass so that climate can be controlled and monitored and further erosion held at bay. Although the stone is battered and worn and has obviously had a hard life, I was enthralled by it. It’s about nine feet tall and quite imposing. 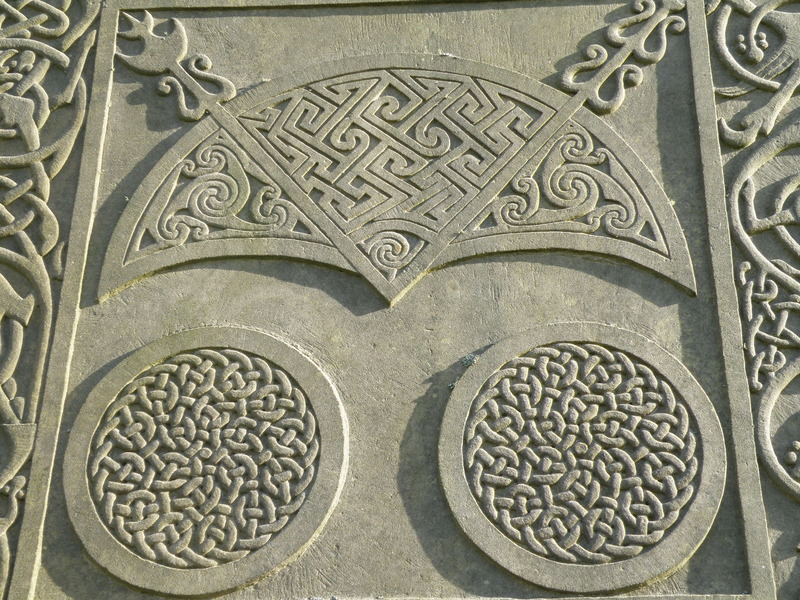 The front is heavily carved with a Christian cross, and this is a strong and bold representation of Pictish Christianity. There are beasts and snakes in panels around the cross. The other side is quite a contrast, carved in a much more delicate fashion these panels show a hunting scene, Pictish beasts and panels of intricate spiral and woven design. It’s fantastic to think that these designs had been created with the tools available to the artist 1500 years ago. When the stone is illuminated I can see it from my back porch and it always reminds me of my first visit to the Seaboard Villages. Later, after we had come to live in Balintore, I heard about the Hilton of Cadboll Stone. In the 1920s this Pictish Stone found its way to the Museum of Scotland. The local population asked for the stone to be returned to its original site at the north end of Hilton. They made many fruitless requests for the stone’s return. In the late 1990s local sculptor, Barry Grove, was commissioned to carve a modern reconstruction of the Hilton of Cadboll stone. His stone now stands at the site of the original. 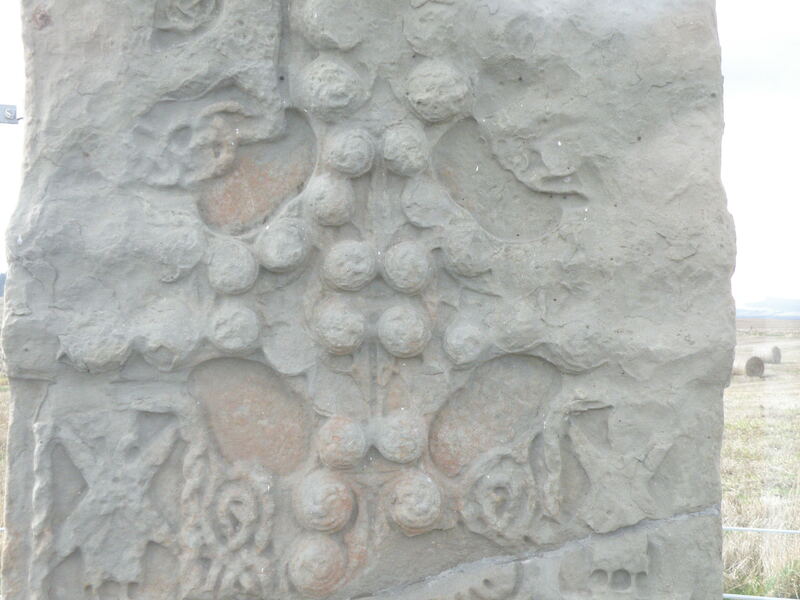 A large section of the original base was rediscovered in 2001. This time the locals were successful in their efforts to keep the fragment in the village and it is displayed in the Dolphin Café at the Seaboard Memorial Hall. Over the years I have enjoyed discovering other stones along the Pictish Trail. They can be found from just north of the Firth of Forth to the Northern Isles but my favourites are obviously the two which stand sentinel at either end of the Seaboard Villages. 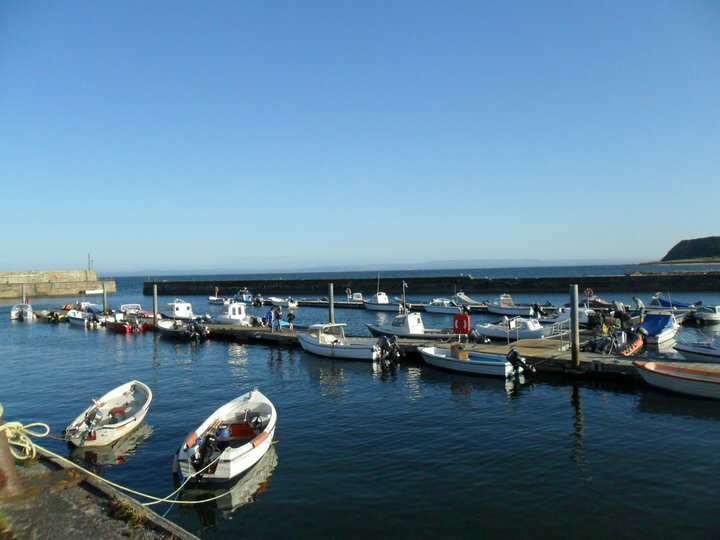 The Seaboard Villages of Shandwick, Balintore and Hilton, together with nearby Nigg where the Stone is housed in Nigg Old Church form part of the Pictish Trail. Balintore Holiday Homes offers luxury self-catering accommodation and is an ideal location for exploring Easter Ross. 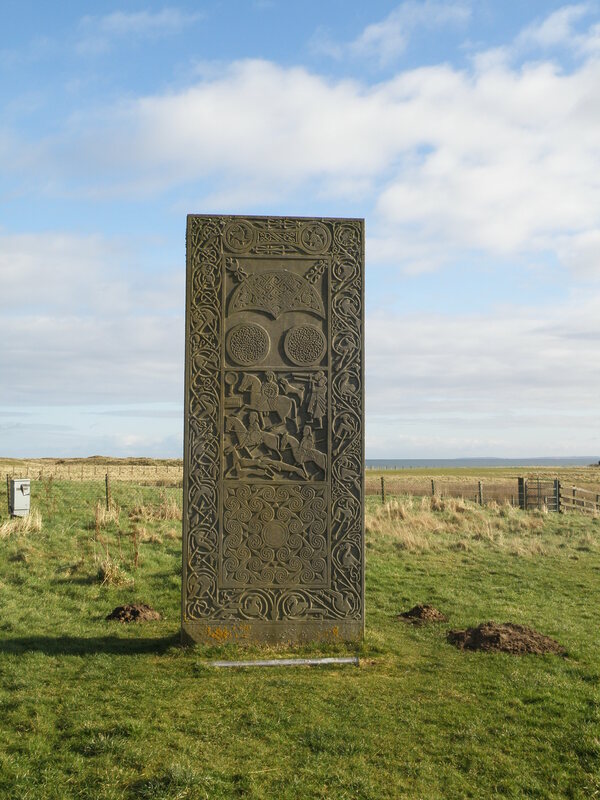 Download a guide to the Pictish Trail. 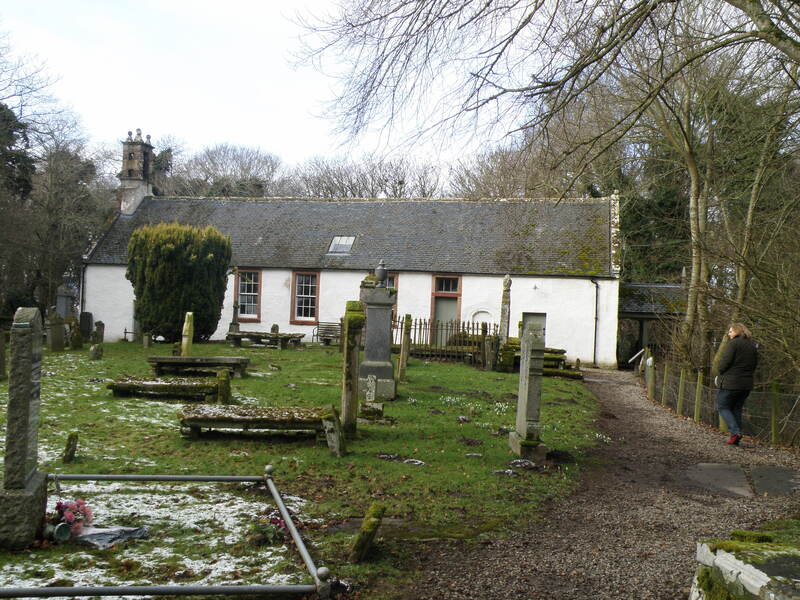 The Highland Council also offer a range of FREE guides to sites and heritage trails in Highland Scotland. Are you having a ‘staycation’ this Easter?